Android 9 Pie is official, and you can download the final build right now, although it's not available to everyone. 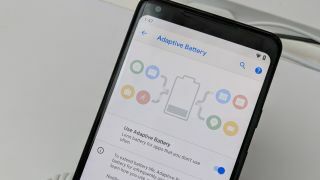 The Android P Beta has been available for some time now, with a number of handsets compatible with the preview of Google's next major operating system upgrade. However, for now, it's only Google's Pixel handsets and the Essential Phone, which are getting the full, final version of Android Pie from today, and even then it's not arriving with all the new features available - App Slices are coming later this year, for example. Update: We've added The Essential Phone to the Android Pie update directions. We'll continue to list Android Pie-compatible phones (and any differing instructions, as they get announced. For the other devices in the beta program, Google says they'll receive the Android Pie update by the end of Fall (which should be by the end of October to December 21). 1. You'll need to own one of four phones to get the Android Pie update right now. Those handsets are; Google Pixel, Pixel XL, Pixel 2 and Pixel 2 XL. The Essential Phone also has the update rolling out on day one. 2. Android Pie will arrive as an over-the-air update, so you'll need to head to Settings > System > System Update to see if it's landed on your handset. You may even get a notification alerting you that the Android 9 update is available. 3. Tap download and install. You won't be able to do this if your battery is too low, to make sure you're topped up or you're near a charger before proceeding. The big list: When is the Android P release date for your phone?